Bollywood’s favorite lovebirds Ranbir Kapoor and Katrina Kaif were recently caught on camera. The two actors known to protect their privacy diligently were spotted leaving in their car for an outing together. Actor Ranbir Kapoor and Katrina Kaif after a long time finally took some Time Out on Saturday (June 13). Ranbir Kapoor and Katrina Kaif are in a live in relationship. 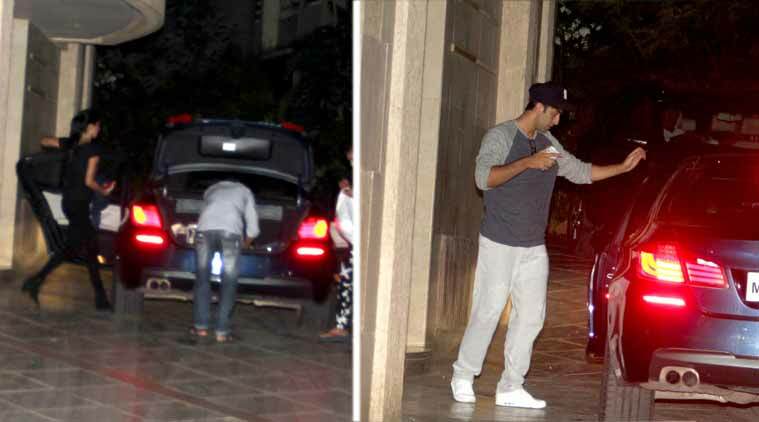 They have their love-nest in Bandra, late in the evening they were spotted getting into their car with good friend Ayan Muykherjee. Ranbir Kapoor was dressed up in casuals with a black cap adorning his head. Katrina Kaif on the other hand was dressed up in black denims and a tee. Ranbir Kapoor and Katrina Kaif’s wedding rumours too are getting stronger with each passing day. The duo were recently spotted having dinner with the Kapoor clan. Maybe discussing the finer details of their wedding preparations.